Doris DeRosa, an active 66-year-old, was tired of pain limiting her lifestyle. Doris had been suffering with frozen shoulders for over a year. During that year, she went to two orthopedists, resulting in no relief. Doris said, “You do so many things with your arms, and it became difficult to lift and carry anything without pain. 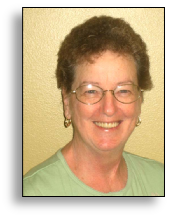 Doris was referred to a rheumatologist, who recommended physical therapy and acupuncture treatments. She had never received acupuncture, so upon coming to ARC Physical Therapy and Pain Center, she had no idea what to expect. "After my first treatment the pain started to subside,” she said. While receiving treatment at ARC Physical Therapy and Pain Center, along with acupuncture, she had manual therapy focusing on shoulder mobilization and soft tissue release. She also received stretching, strengthening and stabilization exercises. Her acupuncture included electrical stimulation for added pain relief. After completing her treatment, Doris said to the therapists, “I am now able to do all the things that I couldn’t do before: swim and even yard work, which I really enjoy. It’s just wonderful to be pain-free!” Doris also expressed how kind, considerate and concerned all the staff and therapists were at ARC. Doris will be eagerly referring friends to ARC. Frozen shoulders can freeze your active lifestyle. Terri Conley has been receiving treatment at the Port Orange ARC Physical Therapy and Pain Center. She came to ARC because she was unable to lift her right arm up over her head without excruciating pain from her neck, shoulder and arm. Terri was also unable to sleep through the night because her pain was so bad. The pain had started from something as simple as lifting boxes while moving. Terri said, “I can’t hardly do my regular housework or my morning exercises.” Terri knew that she wanted to try acupuncture for the pain, and contacted ARC Physical Therapy and Pain Center for a free consultation. When Terri arrived at ARC, she said her pain level was at a level 10 out of 10. After receiving acupuncture, acupuncture with stimulation and moxibustion, along with manual manipulations and massage, Terri’s pain level has diminished to a 0 out of 10. Terri thought the staff was kind, polite, and friendly, making her visits something to look forward to. Terri says she is going to recommend ARC Physical Therapy and Pain Center to anyone she meets with chronic pain. Pain from an injury can change your life in an instant.